We had spent the last 4 days with my dad in Wheeling helping him and celebrating Christmas. Christmas evening we arrived back home and had found that Santa Claus had fixed my boat! ( long list of stuff & best gift ever!) We decided to do a test run/ meat run yesterday Dec 26 . We grabbed the bait we had already in the freezer and left Rudee around 7 am yesterday morning. Trip out was rough and so we decided to go to a plan B location. After a very bumpy ride, we got there and did multiple drifts in various spots from previous trips there. 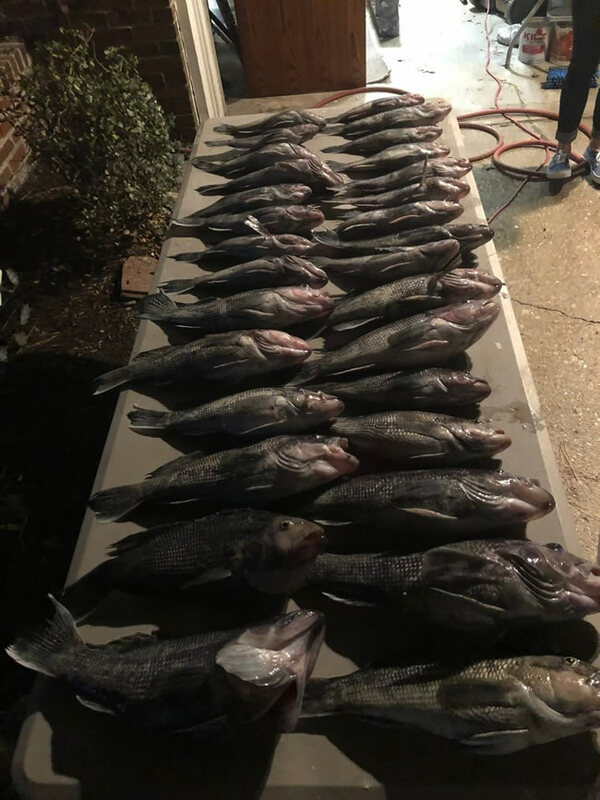 Sea bass were thick in some areas and not in others so we sifted through and found our little niche and then proceeded to have some good old fashioned fun. Kevin and I had a fish off and even though I was showing Kevin what I was using ... I was still pulling in sea bass twice the size of his , many were over 4 lbs. We laughed and made smack comments here and there and just had fun. We boated a 2 man sea bass limit and left to head back home around 2 pm . Sea bass preferred squid over frozen cut bait, and 2 hook bottom rigs produced larger fish then jigging. Totally opposite of the norm with these critters in my opinion, but either way, I’ll take it.